Cathy Guss began making jewelry when she was 11 years old by making seed bead jewelry for herself and her dolls. She realized early on that jewelry making would be her life’s work. Five decades later, she is just as excited about her work, still looking for ways to create innovative designs. She did her first juried art show in 1977. She enjoys meeting people at the shows and re-connecting with people who collect her work. Check out her work at an upcoming Sugarloaf Crafts Festival. If you don’t see exactly what you want, feel free to talk to her about a custom design. 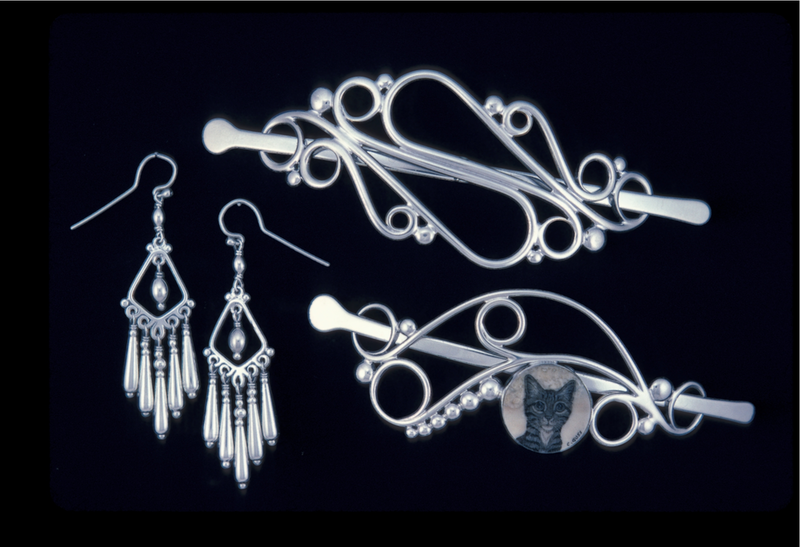 Cathy is always happy to make new pieces using your preferred stones and design modifications.